Got this for a gift for a neighbor. Cardinal is beautiful. Disappointed in Mikes Kimball again!! I bought this beautiful calendar towel as a gift. It was returned to me because they didn't want it - it was too crooked to hang!! 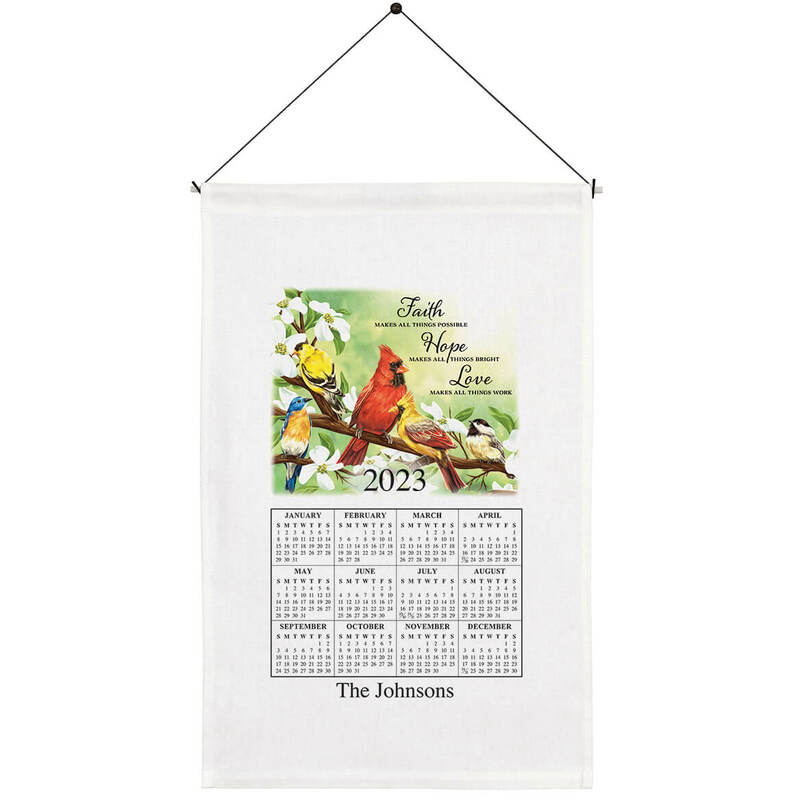 I've been buying these Beautiful linen calendars for 9 years now. I hang them on my kitchen wall. I was told after "X" amount of years, the dates start repeating themselves and you can start using them over again eventually. I usually pick the ones with Cardinals because that used to be my late husband's favorite bird. So every time I look at my Beautiful calendar, I think of my Wonderful Husband. I ORDER THIS KIND EVERY YEAR. GOOD PRICE. I always get my 3 sisters and brothers a calender every Christmas, My tradition!!! I like the quality of these calendar towels. I give one every year to my friends. For a friend who lost her parents. I buy one of these calendars every year then use them after the year is over. They last a long time. Very pretty...reminds me of the old days! For my Christmas present from my husband.